Along with race and gender, people commonly use age to categorize--and form stereotypes about--others. Of the three categories, age is the only one in which the members of the in-group (the young) will eventually join the out-group (the old). Although ageism is found cross-culturally, it is especially prevalent in the United States, where most people regard growing older with depression, fear, and anxiety. Older people in the United States are stigmatized and marginalized, with often devastating consequences. Although researchers have paid a great deal of attention to racism and sexism, there has been a dearth of research on ageism. A major reason for this neglect is that age prejudice is still considered socially acceptable. As baby boomers approach retirement age, however, there has been increased academic and popular interest in aging. This volume presents the current thinking on age stereotyping, prejudice, and discrimination by researchers in gerontology, psychology, sociology, and communication. 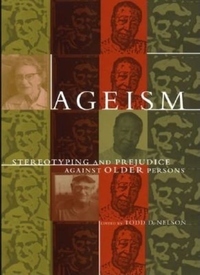 The book presents theoretical and empirical findings on the origins and effects of ageism, as well as suggestions on how to reduce ageism for the approaching "graying of America."